After you have actively read a text, you need to do something with the information you have just learnt so you remember it and can revisit the information if needed. Just highlighting and making unstructured notes is not an efficient way to remember what you have read. There are a number of ways you can do this and it may take some experimentation to work out what works best for you. 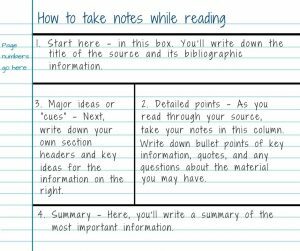 Include the full reference of the resource on your notes/mind maps. 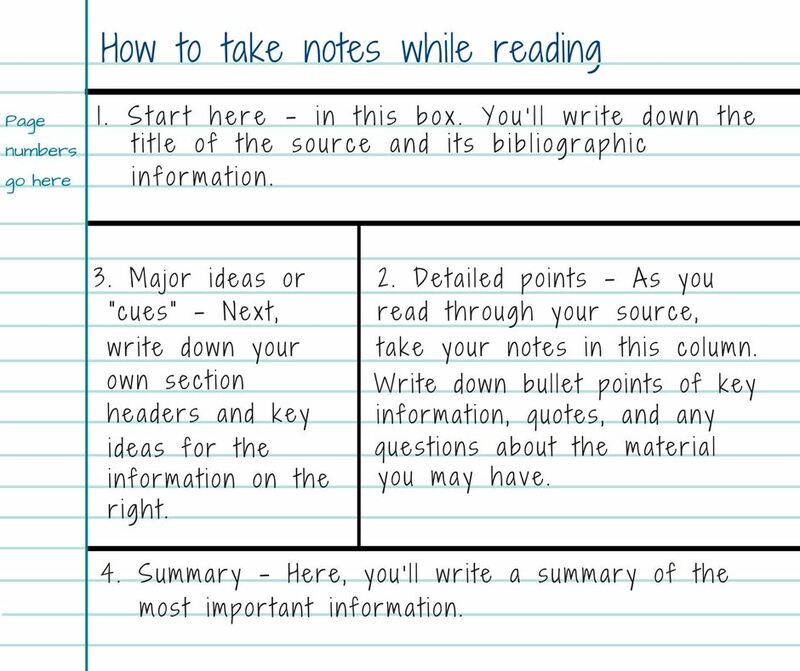 Write down the page number the information is taken from in your notes. Make a clear distinction in your notes between quotations, paraphrases and your own comments – this is really important to protect your academic integrity.